After eight years of service to Mind Matters as Receptionist, Bookkeeper and Finance Manager, Cristi returned to us in December 2018 as Executive Director. Her unique knowledge of our clientele and programs, office environment and staff, and the community we serve, makes her a perfect fit to lead our clinic into the future. Prior to her Mind Matters career, Cristi spent over twenty years working in the medical field as an office manager and insurance biller. She graduated Valedictorian from Andon Medical Vocational College. Married into a sixth generation Calaveras County family, Cristi has raised her daughters here, and enjoys spending time with them and her grandchildren. Cristi is also a well-known local photographer, and loves hiking the beautiful Sierra Nevada. Ryan Thompson M.D. is a Board Certified Family Physician who has been practicing in Calaveras County for over 20 years. He graduated with honors from Chicago Medical School in 1985 and subsequently completed his Family Practice Residency at Memorial Medical Center, Long Beach, in 1988. Though he has always treated individuals with ADHD and Autism, his interest in these disorders became heightened with the discovery that his son struggled with both conditions. Living in a rural area made it extremely difficult, if not impossible, to access comprehensive services for his son. In spite of multiple attempts to foster development of such needed services, adequate help was not found. With the help of his wife and other trained professionals, the Mind Matters Clinic was developed to meet these needs. Through specialized training and practical experience, he has become the area’s expert in assessing and treating ADHD, Autism, and related disorders. His approach is unique in that services provided are truly comprehensive utilizing medical, dietary, and nontraditional methods which combine to provide the most effective treatments available in the region. Over the years, he has provided educational seminars and consultations for groups of professionals, educators, parents, and public organizations while promoting effective treatments and hope for these individuals. Dr. David Simons is a Licensed Clinical Psychologist with more than 25 years experience evaluating and treating children. His academic career includes a M.Ed., M.A., and Ph.D. while attending the Universities of Massachusetts, Arizona and California School of Professional Psychology, San Diego. He completed a two year internship at the Department of Psychiatry, UCSD School of Medicine. He was awarded a National Institute of Mental Health grant for graduate studies and accepted a postdoctoral fellowship at the Child Development Center, University of Colorado, School of Medicine, Denver Colorado. He specialized in treating children as member of Valle Verde Pediatrics Medical Group for more than 20 years in Poway, California, and was previously employed for several years at The Child Guidance Clinic and Learning Disabilities Clinic at Children's Hospital, San Diego. Dr. Simons also served as a Clinical Supervisor for the Crisis Team and Post-doctoral training program at Juvenile Hall as well as a Certified Evaluator for several Juvenile Courts in San Diego. Dr. Simons retired 6 years ago, moving to Northern California. Missing his work with children, he accepted a position as Clinical Director at Mind Matters. He currently lives in Murphys, and enjoys skiing and hiking opportunities in Calaveras County. 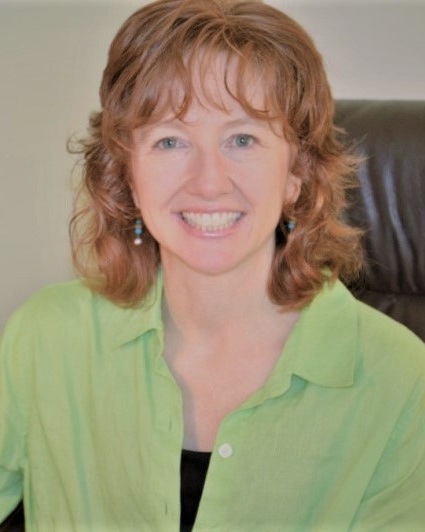 Susan Deax-Keirns is a licensed Marriage and Family Therapist and provides counseling for children, adolescents, adults and their families affected by ADHD, Autism Spectrum Disorders, and learning disabilities. Susan uses a mindfulness based Cognitive Behavioral Therapy approach in working with distractibility, impulsivity, anxiety, depression and other behavior problems. Susan earned an MA in Counseling Psychology from Santa Clara University and a BA in Psychology from the University of Oklahoma. She is married and has three children. Combining her academic and clinical training, and her love of mindfulness, Susan has a gift of working with children and families to create non-threatening, comprehensive and effective treatment plans. Prior to joining Mind Matters, Susan trained for several years at Santa Clara University working with students, staff and faculty. She worked at Calaveras County Mental Health and currently has a private practice in Murphys. She has been a serious student of mindfulness meditation for over 20 years and is a trained EMDR therapist. Sarah Krutsinger, LCSW, provides counseling for individuals and families. She received her Masters in Social Work with specialization in Health from USC. Sarah received her undergraduate degree in sociology and psychology from Biola University in La Mirada, CA. During the licensing period, she worked at a group home for teenage youth in Santa Ana providing counseling and support to the clients and their families. At Hoag Hospital in Newport Beach, Sarah worked in the Emergency department, NICU, as well as other areas in the hospital providing case management and crisis and grief counseling. Sarah has also worked at a geriatric psychiatric hospital and has done volunteer work with youth in the Orange County area. Sarah recently moved with her husband and young son from Orange County to the Sierra Foothills and enjoys spending time in the local mountains and lakes with her family. Cheri comes to Mind Matters after having taught Kindergarten through 5th grade for the past 30 years. She retired from the Vallecito Union School District as the 2012 Teacher of the Year. Cheri provides educational testing services, coordinates and teaches the Fast ForWord computer based learning program and CogMed computer program, and instructs the Mind Builder program that we offer at Mind Matters. She uses the unique learning system and proven techniques developed by our cofounder, Kim Thompson, to offer this highly effective, motivating and interactive group treatment modality. Cheri earned both her BA in Spanish (Phi Beta Kappa) and her Bilingual/Bicultural Teaching Credential from the University of California Davis. She taught modules on Brain Based Teaching for the Credential Program for San Joaquin County Office of Education. She also has presented sessions on Brain Compatible Strategies for Early Childhood Professionals at the Northern California Kindergarten Conference. Cheri raised two boys in Calaveras County and delights in spending time with them and her grandchildren. Her years of teaching in the local district help provide smooth communication between schools and Mind Matters. Cheri's goal is to provide a positive, helpful service to the children and parents we serve. She is passionate about using the best teaching methods to facilitate learning and to develop skills that will lead to a successful educational experience. She believes in teaching with joy, excitement, engagement and whole body movement and mindfulness. Cameron was born and raised in San Diego, California, and graduated from San Diego State University with honors and a Lifetime K-12 teaching credential. She did her training and teaching in the San Diego Unified School District over a period of fifteen years. She moved to Northern California in 1976. In San Francisco, she taught in a Head Start program, and later worked in an outpatient program at Garden Sullivan Hospital for children having difficulties learning in the school environment. The modality used was Sensory Motor Integration. The activity room was like a mini-gym for children and much of the activity was designed to stimulate the children’s vestibular system. Cameron started out as responsible for maintaining the integrity of the exercise equipment the children used, and the safety of the activity room. She was later trained to lead and supervise the students through the unique treatment activities designed for each individual student, and writing up the treatment sessions in their medical charts. At Mind Matters Clinic Cameron has been involved in the Fast ForWord computer learning program that prepares the brain for reading and learning by improving the cognitive skills that are weak in struggling learners: memory, attention, and processing speed. She is also part of a team that has been taking the Fast ForWord program out of the Clinic and into the local schools: Hazel Fischer, Mark Twain, and Michelson, to help a larger population of struggling learners. Sally came to the clinic through her service with the Calaveras Youth Mentorship Program where she has mentored a ‘special needs’ child since 2012. Sally began her work at Mind Matters teaching Fast Forward. She is also the Clinic’s Social Skills instructor. Sally attended two conferences in the Bay Area where she trained in both Executive Function and Social Thinking. Social Thinking (also known as Social Skills) is a curriculum developed by Speech Language Pathologist Michelle Garcia Winner and is intended for students with social learning disabilities. Its focus is on teaching students to think about how others perceive them. With a B.A. from Hampshire College, Sally brings years of experience as a teacher in specialized fields. She has taught video to school children in NYC, filmmaking to college students at NYU, UCLA and the Naropa Institute, and writing classes at Manzanita Writers Press and Gold Rush Writers Conference. In addition to her work at Mind Matters, Sally is the co-producer with her husband David Vassar at Backcountry Pictures, a production company they founded in Los Angeles in 2001 and relocated to Murphys in 2012. Denise and her husband moved to Calaveras County from the Bay Area fourteen years ago. While raising their children Denise enjoyed many years volunteering in the classrooms and working as a Resource Aide. For the past ten years she has been working as a personal banker. She has also volunteered for the Resource Connection and the Taylor Family Foundation. Denise is delighted to be part of the Mind Matters team!